I get that the pizza is for Brutus so he can watch football but I'm confused as to why 1)he's doing pickup instead of delivery. Maybe they have an order minimum and one pizza doesn't cut it. 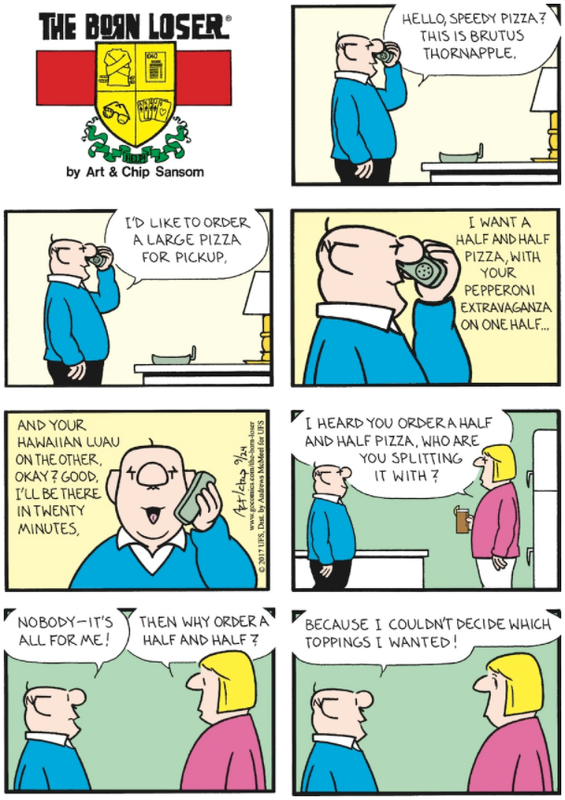 But that also brings me to 2)why is he not ordering pizza for Gladys and Wilberforce? They need to eat too, right?